There is simply no better way to step back through time and explore the old growth forests, rivers, remote valleys and mountain overlooks in Chile than on horseback. You will enjoy the contrasts of the Andes, see unspoiled nature, the legendary condors and above all interact freely with traditional people in an exciting and fun-filled equestrian experience. There are several popular treks that you can take in your adventures here. 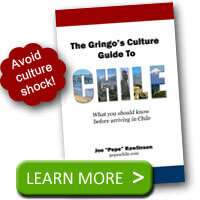 Enjoy Horseback riding in Chile by looking for tour guides that offer the following rides. This route will lead you to the famous Torres del Paine Park where you’ll get a once-in-a-lifetime chance to sample some of the world’s most beautiful flora and fauna and venture deep into the trails that have remained the same since the Spanish conquistadors discovered them over 500 years ago. You will never get enough of this UNESCO-acknowledged biosphere reserve. The best time to visit Torres del Paine Park is between October and April. Although the park is usually open throughout the year, you’ll get a better chance to sample its beauty at this time of the year as there will be less rainfall and better temperatures. This is one of the fantastic ways to enjoy horseback riding in Chile between the months of January and February. You can ride across the range from Chile to neighboring Argentina through remote mountains and discover the pure nature of this part of the world. By taking this ride you will experience one of the most important feats that helped secure Chile’s independence a long time ago, when San Martin crossed the mountain range with his army. This route will ultimately refresh your spirits on your vacation between the months of October and March. Taking a horse ride to Majada Vieja is the only way to see beautiful flowers and picturesque waterfalls while negotiating through high mountains. You may also get a rare chance to see pumas and condors. There are no signs of human settlements here apart from trails that were used by the Chilean people many years ago. If you want to get a true experience of horseback riding in Chile, you have to try this ride between the months of October and March. This six-day-long journey will provide you with an incredible experience through the Maipo River, which is one hour away from Santiago. Maipo river valley has a long history of producing some of the world’s finest wine. In summary, if you want to get a unique and unforgettable traveling experience, you should try horseback riding in Chile. 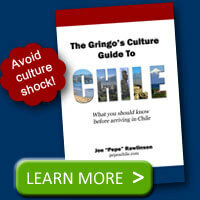 It is by far one of the best ways to discover some of the well-kept Chilean secrets.